Coach and caboose tickets remain! Get yours today! The L&WV Chapter of the NRHS invites you to join us for a ride along the historic former Erie Railroad Honesdale Branch from Honesdale to Lackawaxen, Pennsylvania. 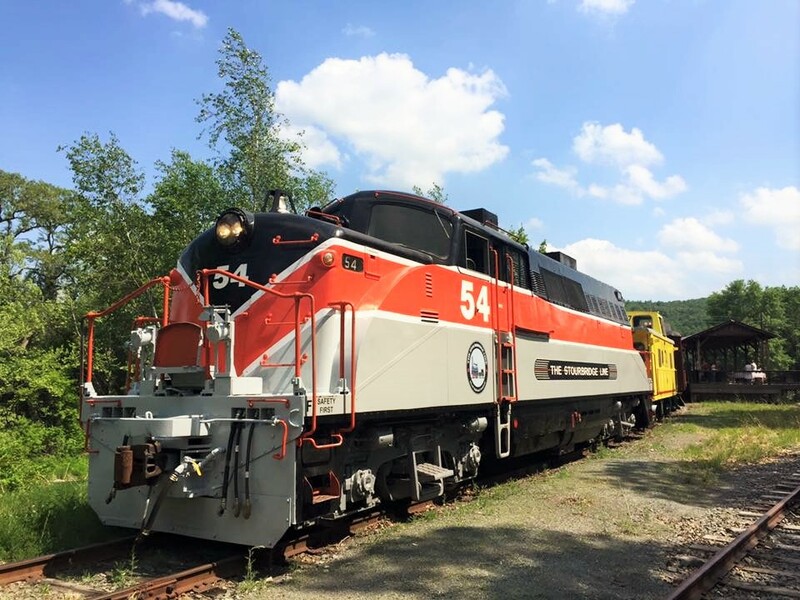 Power for the 50-mile round trip through beautiful scenery through the Lackawaxen River Gorge will be the Stourbridge Line’s rare EMD BL-2 class locomotive #54. We are auctioning off two tickets to ride with the engineer in the cab of the locomotive! We expect to have two photo runbys on the trip (conditions permitting). Please wear appropriate footwear. Passengers will be able to disembark the train at Lackawaxen. All proceeds from this excursion will benefit the restoration of Boston & Maine 3713. Get all the details and purchase tickets on the Erie Limited ‘Limited’ page now!